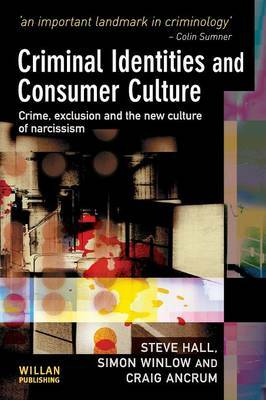 This book offers the first in-depth investigation into the relationship between today's criminal identities and consumer culture. Using unique data taken from criminals locked in areas of permanent recession, the book aims to uncover feelings and attitudes towards a variety of criminal activities, investigating the incorporation of hearts and minds into consumer culture's surrogate social world and highlighting the relationship between the lived identities of active criminals and the socio-economic climate of instability and anxiety that permeates post-industrial Britain. This book will be of interest to undergraduates, postgraduates, researchers and lecturers in all fields within the social sciences, but especially criminology, sociology, social policy, politics and anthropology.